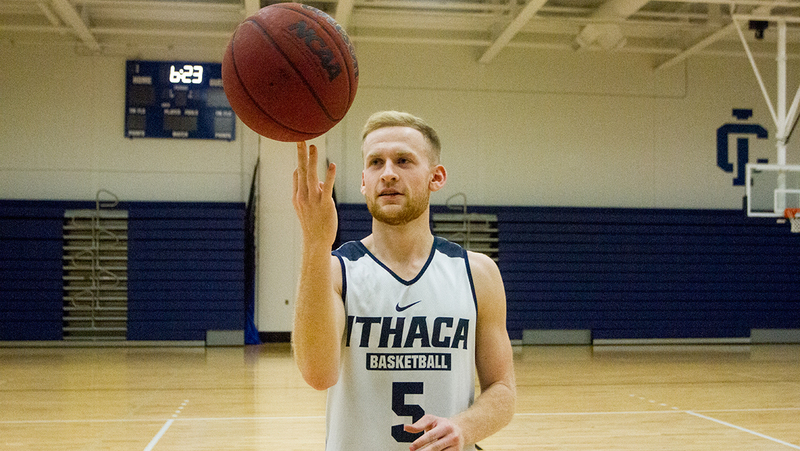 After transferring colleges twice, junior forward Miles Herman has found a place on the Ithaca College men’s basketball team. Freshman guard Peter Ezema has provided a boost to the rebounding-side of the basketball as well as a very different background than the average student-athlete to the men’s basketball team. Point guard Sam Bevan, the lone senior on the men’s basketball team, looks to lead the young squad to a Empire 8 Conference title this season. The men’s basketball squad hopes they can stay ahead of the Empire 8 competition heading into the 2015–16 season. Breaking down the 2015 Empire 8 tournament for men’s and women’s basketball. After struggling in the first half of the season, the men’s basketball team has stormed back during conference play. Freshman guard Marc Chasin has stepped up in a big way for the men’s basketball team.